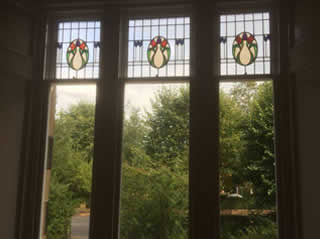 This magnificent 100 year old glass has been lovingly encapsulated making it double glazed so that the new windows match existing. These splendid sash and case windows where all manufactured in own factory. 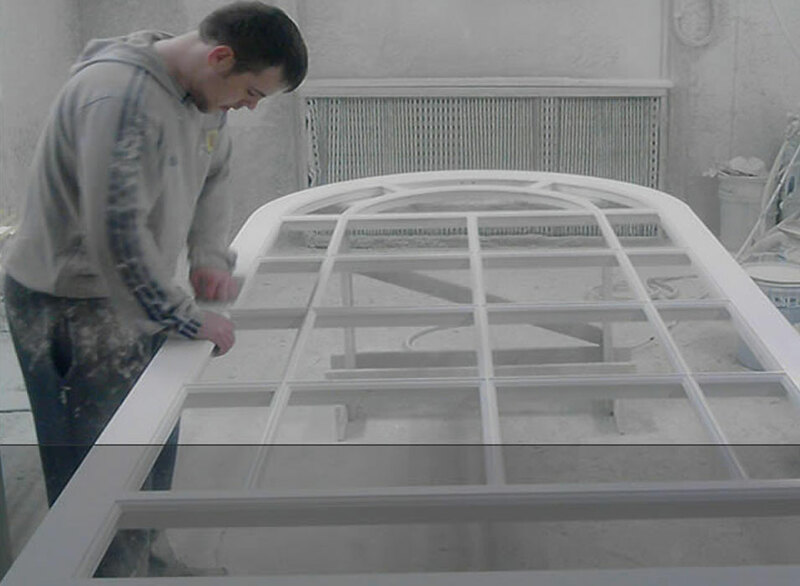 This triple sash and case window was tailor made using the highest quality materials and workmanship in our factory. Our quality sash windows maintain the style and traditional aspects of your home whilst taking advantage of the modern benefits that come with double glazing and discreet draught proofing. 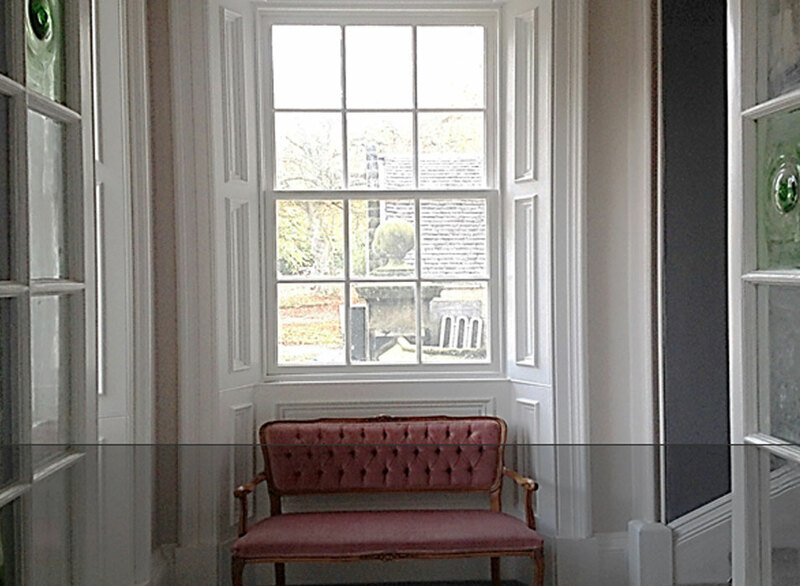 With over 60 years experience in manufacturing sash windows for the Edinburgh market Illingworth Brothers specialise in beautifully crafted and professionally fitted sash windows we pride ourselves on using traditional methods. Using our unique draught proofing system with up to 24mm British standard kite mark units giving you a very low U value of 1.1 for the double glazed unit itself and an overall U value of 1.5 helping you to save money on your heating bills. 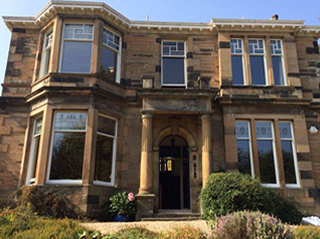 Our high quality sash windows are made to maintain the style and traditional aspects of the homes in which they are installed and they incorporate our own unique draft-proofing system; we have over 60 years' experience in manufacturing sash and case windows for the Edinburgh market. 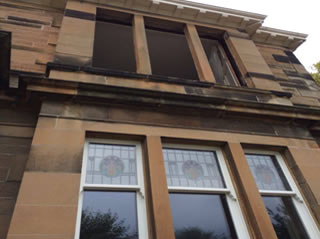 Sash and case windows are an integral part of architectural Edinburgh and are found on older buildings throughout most of Scotland. Often people come across the problem of replacing sash and case window with double glazing, though for many people this isn't an easy decision. It is essential that any replacement should complement your home while complying with planning and environmental requirements. We are accustomed to replacing sash and case windows in conservation areas. We are able to build like-for-like windows or replace single glazed windows with our unique traditional double glazed sash windows which will comply fully with planning requirements. We provide a free consultative service whereby our expert craftsmen will visit you without any obligation and discuss the options that are available to you that will provide you with the best possible heat insulation during cold weather along with good ventilation banishing any current problems you might have with the cold, dampness, draughts and noise and replacing them with excellent insulation and warmth.